As a clinician, I have learned that what is healthy for one individual can be poison for another. When it comes to sulfur, most people NEED more of it and not less. This is because sulfur based amino acids are foundational components to many enzymes including the powerful anti-oxidant enzyme glutathione. When the body metabolizes sulfur compounds it produces ammonia as a byproduct. Ammonia is toxic to the body but most individuals are able to easily excrete it through the urine. Unfortunately, some individuals have particular genetic mutations that do not allow them to effectively metabolize and eliminate ammonia and these individuals may need a low sulfur diet. Ammonia is a normal product of protein metabolism in the body is generally excreted through our urine. However, when we are unable to effectively excrete it, major health problems ensue. Higher levels of ammonia are produced during times of stress as the body uses amino acids and breaks them down into glucose through a process called gluconeogenesis. Higher amounts of stress will lead to elevations in ammonia. The gut microbiome (full collection of microorganisms) metabolizes the amino acids into nitrogen compounds, which are used to repair cells. Some of the species present in our microbiome also produce ammonia when they break down amino acids. Some individuals have alterations in their gut microbiome to where ammonia producing bacteria are overpopulated. Our microbiome produces almost 4 grams of ammonia each day in our intestines. This ammonia is taken to the liver and is turned into urea where it is excreted in the urine. When the body is producing excessive ammonia and/or when it is not filtering and excreting enough ammonia we can end up with very serious problems. Elevated ammonia levels reduce the production of cellular ATP which is key for energy production. This is why individuals with elevated ammonia experience fatigue, muscle weakness, nausea, vomiting, headaches, diarrhea, back pain and accelerated aging. Ammonia is also extremely damaging to the brain and can lead too mood disturbances, insomnia, loss of coordination and dexterity, clumsiness, confusion and inability to concentrate. The cystathione beta synthase (CBS) enzyme helps make the conversion of homocysteine to cystathionine as part of the transsulfuration pathway (1). Defects in this enzyme are upregulations in that the enzyme works too fast. According to Nutrigenomic expert Dr Amy Yasko, the CBS gene mutation must be supported before addressing other genetic variants. Individuals with a CBS mutation (elevated activity) often have high levels of taurine and ammonia and low cystathione and homocysteine (2,3). This is due to the rapid conversion and if this is coupled with NOS mutations it can exacerbate ammonia issues. High ammonia is extremely toxic and inflammatory to the body. Individuals with a CBS mutation that slows activity have low ammonia and elevated cystathione and homocysteine. Only individuals with high firing CBS enzyme activity end up with elevations in ammonia. Individuals with low firing CBS enzyme activity have their own issues with homocysteinuria. Dr Yasko makes it very clear that stabilizing the CBS mutation and lowering ammonia levels must come before starting other methylation supplementation. If one tries to support methylation without addressing CBS, the nutrients do not effectively generate glutathione and may negatively effect the entire cycle (4, 5, 6). The CBS mutation leads to excess taurine, ammonia and sulfur groups that are released into toxic sulfites in the body. If the individual is consuming large amounts of sulfur containing foods it can lead to more sulfites and increased stress and inflammation (2). These individuals must be on a low protein diet where protein makes up about 10% of total caloric intake. For these individuals, I typically recommend a nutrition plan consisting of 70-80% fat, 10-20% carbohydrate and 10% protein. 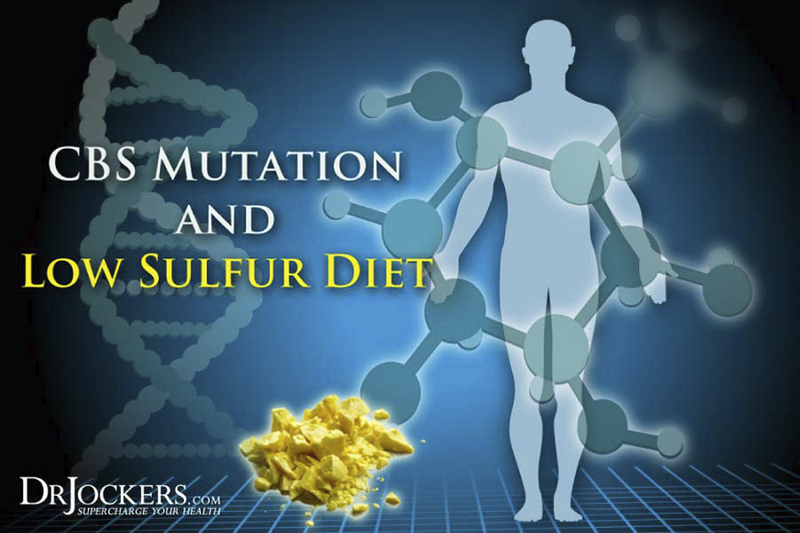 Sulfur containing foods are extremely healthy for most individuals but not for those with major CBS mutation problems. These individuals must limit sulfur intake by removing garlic, onions, cruciferous veggies, eggs, legumes, all protein-rich dairy. They also must avoid normally great supplements like alpha lipoic acid, chlorella, spirulina, glutathione, MSM, DMSO and N-Acetyl Cysteine. Detoxification strategies such as heavy metal chelators and Epsom salt baths should be avoided as well. Other supplements to avoid will be L-methionine, L-cysteine, L-taurine, glucosamine, L-glycine, DMSO, SAMe, methylcobalamine, methyl-folate, Betaine, HCL and choline. It is also extremely important to have good drinking water filtration and shower filtration to avoid ammonia that may be in typical city municipalities. A reverse osmosis filter will take the ammonia out of the water and you can add back trace minerals with a pinch of pink salt. The nutrition plan should focus on full-fat coconut products, grass-fed butter/ghee and small amounts of grass-fed and pasture-raised meat. Avocados are good and low-sulfur veggies such as romaine lettuce, celery, cucumbers, carrots and parsley will be very good. Chia, sunflower, flax and pumpkin seeds along with macadamia nuts can be used in moderation. Fatty portions of animal such as stock bones are typically well tolerated. Small amounts of meat and fish can also be used but protein levels should be kept under 50 grams per day. Extra-virgin olive oil can be used generously as can herbs like turmeric, ginger, oregano, basil, thyme, rosemary and cinnamon. The three major areas responsible for detoxifying ammonia are the liver, kidneys and intestines (7). One major medical indicator of liver failure is high levels of ammonia in the bloodstream. The liver normally receives ammonia from the intestines as it is metabolized from amino acids. A healthy liver detoxifies ammonia and converts it into urea, which then goes to the kidneys and out through the urine. When the liver is malfunctioning, the ammonia is unmetabolized and may enter into the bloodstream. 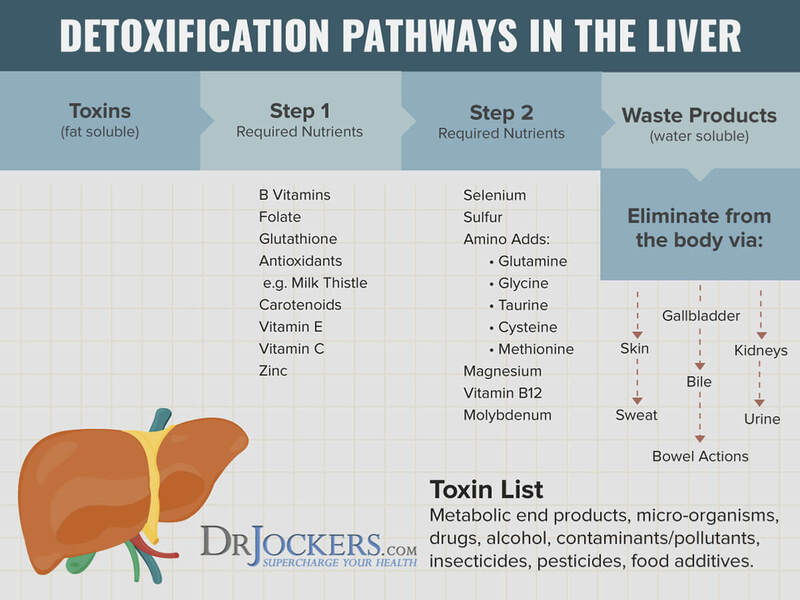 Liver health is dependent upon three sulfur based processes: Sulfation, Glucoronidation and Glutathione conjugation. These three processes all depend upon sulfur compounds which makes liver function challenging for CBS mutations. The best way to address this is with high dosages of buffered vitamin C w/bioflavonoids, dandelion and parsley. These are low-sulfur and support the liver’s detoxification processes and glutathione recycling. Increasing chlorophyll content is also very helpful as it neutralizes ammonia and carbon monoxide. You can get liquid chlorophyll and add it to your water and you can juice high chlorophyll veggies such as wheat grass and barley grass which are more nutrient dense than chlorophyll alone. The kidneys play an important role in filtering out urea and forming urine. One of the biggest challenges for the kidneys is unstable blood sugar levels. If blood sugar is imbalanced it will overwork the kidneys and reduce their filtering capacity. Elevated blood sugar causes increased potassium excretion. Potassium has a strong alkalizing effect and changes the pH of the urine. This reduces the kidney’s ability to filter and flush ammonia from the system. Elevations in ammonia also cause an increased urinary excretion of magnesium, calcium and phosphate. It also disrupts normal glucose metabolism and can lead to instability in blood sugar. So this is the tough part, unstable blood sugar promotes ammonia accumulation in the body and elevated ammonia disrupts blood sugar stability. There are three key amino acids needed for the urea cycle and they function to protect against ammonia toxicity. These include L-Arginine, L-Citrulline and L-Ornithine. These are all important but L-Ornithine may be the most critical as it helps remove ammonia from the brain. Taking dosages of 500 mg of L-Ornithine in the evening and 500 mg of L-Arginine in the morning can be very helpful to aid ammonia metabolism. Eating celery and drinking celery juice is another helpful strategy to remove excess ammonia and provide good electrolyte balance in the body. Small amounts of ammonia are naturally produced as a byproduct of protein digestion. When there is an overgrowth of ammonia producing microorganisms in the gut it can cause serious problems. Taking some natural anti-microbial compounds such as oregano oil, caprylic acid, black walnut hulls, bearberry extract, grapefruit seed extract, Pau D arco, cat’s claw, slippery elm, etc. will help to reduce the quantity of the ammonia producing microorganisms. Also, using apple cider vinegar, kombucha and coconut water kefir are great too. Additional supplementation with probiotics and fermented, low-sulfur foods such as pickles, beet kvass and coconut milk kefir will help to reinnoculate the gut with good microorganism. Restoring integrity to the gut will help to reduce ammonia build-up in the body and take stress of the liver and kidneys. Yucca root is also effective for reducing ammonia generation in the intestines. Cleansing agents such as bentonite clay and bioactive carbons have an affinity for ammonia ions and help to pull these along with other endotoxic debris out of the body. I really like BioToxin Binder which is a great bioactive carbon that pulls out ammonia and other toxins from both the gut and the blood stream. BioToxin binder also contains molybdenum to help balance sulfur metabolism. The brain is especially sensitive to ammonia levels and doesn’t have an effective way of buffering ammonia. If ammonia levels are high in our blood stream and it is able to cross the blood brain barrier it can be especially dangerous. Ammonia will cause massive inflammatory damage and destroy many brain cells. L-glutamine is the most abundant amino acid in the body and plays an important role in stabilizing blood sugar and reducing ammonia levels. When ammonia levels raise the body uses more glutamine in order to reduce the ammonia. Other supplements that can be helpful include molybdenum, manganese, acetyl-L-carnitine and zinc as excess sulfites may deplete these. One of the major sources of ammonia is through drinking city water. The city adds a mixture of chlorine and ammonia, also called Chloramine, as a sterilizing agent to prevent against infectious diseases being passed through the water systems. This is a challenging toxin for simple carbon filters to remove and thus most people are ingesting high amounts of ammonia. This is extremely hazardous and for those with a genetic susceptibility or poor detoxification systems can be life threatening. This is why a good water filter is SO CRITICAL for a sulfur intolerant individual to get well. I did 23and me. I also go to dr. Eric S. max. Living in aurora colo. What would u charge to look at my results and tell me if I have any methylation issues? Go to a third party and have them analyze your results. I went with Promethease and it was $5 to analyze all my SNPs. From that I got over 18,000 different reports. So worth it. I was able to take that to my doctor for advice. Dr. Jockers, I’m curious as to why the safe food list in the article includes turmeric, however, turmeric appears on the avoid list in the shopping list when you download it on the separate page? Very good question JoDee – we need to take Turmeric down as it is does elevate sulfur. Thanks for the correction. I thought coconut oil was high sulfur and produced sulfur thiols, yet it is listed as beneficial. Would you help me understand? I have never read anything about coconut oil containing sulfur thiols. Coconut oil does not have amino acids – it is composed of small, medium (mostly) and long-chain fatty acids. I’m just learning about all of this, so thank you for your info. might be late… but the sulfur on Livingnetworks list refers to additives (i.e. sodium metabisulfite E221-228 which usually is in most canned coconut products. Interesting. I wondered about this sulfur issue with coconut also. Further comment on coconut oils. Some of them are very likely to contain mycotoxins, especially the ones made from ‘copra’, dried (?rotten?) coconuts. Everybody would have seen a moldy coconut and knows how quickly they would spoil. We live in a fruit production capitol and have for 10 years. We have many sprays and toxins to deal with in orchards. You mention not taking methylcobalamine, or methyl folate with the CBS mutant gene. I took the 23andme test and have two copies of the C677T MTHFR mutated gene and am trying to treat two copies of CBS along with that. My plan has been a lower sulfur diet, molybdenum, methyl B12 and methylfolate, TMG, Magnesium Citrate at night and a multivitamin along with NDThyroid and BHRT. I seem to tolerate the Methylcobalamine and Methyl folate well and better since I learned to address the CBS gene first. Does that sound like I am on a good path? I have to get health answers!! There are no doctors in my town who understand and treat genetic mutations in the order Dr. Yasko recommends, so I really appreciate this site and many others like Drs. Amy Yasko and Ben Lynch who are getting the word out and training us all in. BTW, I am an RN and am helping to patient teach as many people as I can on these mutations. Hey Michelle – yes it sounds like you are addressing them well. You are on the right track! You may also consider some activated charcoal to help you detoxify – take it away from food or supplements. I am confused about this scenario. I thought Methylcobalamine and Methyl folate should not be taken by those in this situation? How can one know how much or when one can take Methylcobalamine and Methyl folate with this combination of issues? Check out the link I posted on your other comment E K! Great job, a lot more education , and a whole lot more awareness on this MTHFR topic is needed. Along with all the other issues that come with it. I have a son (in his twenties) with spinal arthritis,lots allergies, he can barely eat anything without having severe breathing issues. Every time he has to call 911 they keep asking him if he is being treated for anxiety. If the doctors don’t have a clue ( or do they ) they say , oh I think you have anxiety, go get yourself checked in at a psych ward. He was eating broccoli and asparagus with some butter, onions on his sandwich, and the oatmeal had some apples in it. When I looked at the ingredient list, there were sulfites listed for freshness and preservatives. Something prompted me to check out what effect sulfites and sulfurus foods have. Because he mentioned he started to feel worse after he was eating the veggies for a few days in a row. Now I am here. Another puzzle piece that fits. So slowly but surely we are getting the picture. I wish everyone an empowered journey on the road to recovery. Best wishes to you all. Maureen, can you clarify? What is CNS? And how would you describe a Northern European diet? How did you come up with your list of low sulfur foods? Hello, I am heterozygous for CBS (and homozygous for VAQ TT and MAO), and wondered if I needed to address CBS since I respond well to N-Acetyl Cysteine. I started taking it this winter due to back pain that was really a symptom of liver detox and it changed my life. If NAC is something to avoid with CBS, do I really have a problem with my CBS? There are some things in this article that make no sense to me. Let’s start with chlorella. This is EXTREMELY high in Sulfur and I can’t see how you can recommend it with a low Sulfur diet. Second isn’t coconut meat high in Sulfur? Third, gelatin contains glycine which is a methyl donor and should be avoided. You might also like to mention lecithin and NT Factors energy lipids which contain phosphatidylcholine! Lastly, if you have CBS mutations and your liver is struggling that amount of fat is very hard to process!! !mas someone with this CBS mutation I know my liver struggles with a high fat diet – no matter how clean the fats. I would also be interested to know your thoughts on SOD and whether that should form part of this plan. We don’t recommend using chlorella or spirulina for suflur intolerance so I am not sure where you got that from. We do recommend leafy greens for extra chlorophyll because it helps to eliminate ammonia. Dried coconut often contains sulfites, you want to make sure it is sulfite free. Bone broth does contain glycine but in general is low in sulfur and helps to heal the gut which is often a major problem with people actively expressing the CBS mutation. Some individuals can handle more of the healthy fats than others, but celery juice and green leafies typically enhance liver function and improve the ammonia detoxification. Yes, I do believe that SOD would be a good anti-oxidant for someone with sulfur intolerance. Being that it is an O2 molecule, it dosn’t contain sulfur and isn’t necessarily used for sulfur based reactions in the body. I’m struggling to make sense of your statement too as I don’t know where you found the information that glycine is a methyl donor. There are no methyl (CH3) groups in glycine molecules C2H5NO2, which are the smallest of the amino acids. Glycine can be methylated to other compounds but itself provides none. My previous statement is a reply to Lawrie. ,I agree. I used Chlorella after reading this and went backward with my symptoms. Then I tried calling delion and again, backward. I’m now reading where dandelion greens and tberoots are both high in sulfur. What is going on here? Is there a part of the dandelion that is low sulfur? (Perhaps the flower) that should be used? That was my question? This article DOES say to use Chlorella. I tried both dandelion and chlorella after reading this, and it made my sy!mptoms worse to where I had to go back on a course of of Prednisone. ..I, too, want to know if there are any PARTS of dandelion that are not high in sulfur. The flower, maybe? Thank you. No it said to use chlorophyll; not Chlorella. If we have trouble with CBS… I didn’t think we should take TMG as Michelle mentioned. My apologies is I’m mistaken. Can we tolerate Pantothenic Acid for stress and anxiety? And are the above responses indicating avoidance of lecithin? I’m really looking to help my children with ADD/brain fog. I am both CBS and MTHFR and found sulfur food lists very confusing. Yasko lists coconut as a sulfur food (I want it not to be, sine I like both coconut milk and water :). I don’t see potato and tomato on the list, from my research, both are not sulfur. Also what grains are low sulfur? I agree with you. Yasko offers horrible advice! My understanding is that Bentonite clay is high sulfur. Is safe to take bentonite clay to reduce ammonia while on a sulfur elimination protocol? Thanks! Oh no!! Don’t tell me this really? I have cbs mutation, and the bathing has helped. I use castor oil pultices over liver a d gall baldder, Sun Ancun chi machine, and yoga excercises to stimulate lymph flow. Later that day or next day I am often in widespread pain, especially in lymph areas near El ows a d knees. When I apply clay paste or oak it definitely iteky seems to help take the pain away and clear things. But I am very reactive to sulfur of any kind. But ai don’t take it internally. Please review my comment, if the moderator believes they can help, contact me through my email (provided). I’m asking for clarity on what sort of symptoms would even arise from sulfur ingestion into a person with a CBS mutation. Sickness? Bowel problems? Coughing and runny nose? I’ve read about various other sites comments about CBS and sulfur intolerance but have no idea what that means… please link me to a primer on what afflicted persons can expect. I’m heterozygous for the CBS 699. I’ve never met anyone with my reaction to sulfur veggies (Brussels, etc. ): I get a clear head high, excitement, euphoria… even somewhat sexually aroused, which lasts a couple short hours. If I keep consuming them, this will morph into “tired but wired” and spacey. For the avoidance of doubt, I’ve double checked that these same symptoms can be brought on with no food whatsoever… in the fasted state… IF I take even a little liposomal glutathione. This experiment rules out that something uniquely in the sulfur veggies causing it. The common denominator is sulfur. I’ve entertained ideas like sulfur reducing gut bacteria, and even chronic mercury poisoning, because Andy Cutler (mercury expert) is the only person worldwide I’ve seen describe these same symptoms upon ingesting thiol based foods. Before I begin a protocol using chelators, I’d like to rule out my confirmed CBS mutation as a contributing factor: Does CBS mutation, IN THOSE WHOM IT IS ACTUALLY SYMPTOMATIC, cause these same issues or does it present with a completely different symptomatology? Check out the porphyrias. Porphyrins are manufactured with sulfur. See if you have any other similarities. Start with acute intermittent porphyria. These are rare disorders but I believe I have one and it can keep you up all night. Then again so can histamine intolerance. Sulfur can also be related to mercury poisoning from metal fillings. I can’t tell you just what you have but the following may prove helpful: you may have several things going on. You may have the same thing as someone else and have different symptoms. You may find it impossible to find a doctor who will help you. However, and this is most important, find a thread and follow it where it goes and note what happens. Keep a chart of what foods cause problems and what catagories those foods belong to in terms of intolerances. It is a long and tiring road that seems too complex to comprehend but keep working at it and you will eventually figure it out. I have done this work for the past two years and even with significant memory and processing disorders and at times thinking I might die, I still made progress and am finally starting to see the light at the end of the tunnel. Keep meticulous notes and patterns will emerge. Read a lot of blogs, they will prove most helpful and don’t give up. I’m not sure if you are reading the posts, but I’m having the Same issues. I just figured the CBS and Sulfid problematic out and changied my whole supplementation and foods. I totale reacted the Same way. Now somehow everything you wrote is a Part of it. I had those reactions with any sulfursupplementation and food (Less with meat), with other detoxification Supplementes like capilarex which shouldnt have sulfur in it and with gut bacterias. It got better now. Way better. I think its a mixture. I Need to snooze at 9 and 10 o clock. But the hyperness and the Fall afterwards is better now. I tolerat more foods. The gut bacterias (non d lactat producing) and less sulfur and for me glycin made it better. And Abbuchung of Otter things. It s always everything somehow in a Differenz combination. Which probiotics to help decrease ammonia? As we can all agree, low sulfur diet is quite restrictive for us to keep following it.I was wondering if there are any kind of grains,flours that could be used to make some sort of bread or breadish food to eat? Matt, yes, our symptoms are identical. A oat test and urine test strips confirm high sulfur for me. I’m almost addicted to sulfur rich foods because of the “boost”, but then fairly quickly followed by almost complete immune system shut down 🙁 Chilled, excitory feeling in the forehead, feels like a sunburn across the forehead/eyebrows, brain function slows real fast, pain between the shoulder blades. Good luck Matt. It seems like a long shot initially, but after being so sick for so long, perhaps it’s worth trying some more obscure ideas in the search for a cure. Good luck Carol. If I have the CBS mutation and have horrible gut reactions, won’t using Wheatgrass be counter-intuitive? I though wheatgrass was high in sulfur? I’m just so confused. Wheatgrass is VERY high. I know, because it KILLS me. Mr. Jokers is infringing upon the high/low sulfur/thiol list of Andrew Hall Cutler. Chris Holm, How can I ever start chelating mercury if taking NAC or ALA is going to put me in a sulfur nightmare? Any links to where I can get help? As far as chelating mercury for the sensitive person, i would recommend readinh William Rasmussen’ s books about how. Avoidance of high mobilizers like ALA and Nac for the first stages is crucial. Yes very good read, thanks for the suggestion Cristina! Thank you so much. I REALLY needed to know this. NAC has been a big problem and mystery for my daughter. As to the theory that it’s really mercury and not CBS, check your homocysteine. If it’s low, it’s CBS upregulation, not mercury, if it’s high, it might be mercury (but might not be too). I spent YEARS chelating “mercury” and was so sick for so many years because of that (DMSO, Cutler protocol, you name it) despite not having high mercury on tests. People (including doctors) just kept telling me, it’s mercury, it’s got to be hidden mercury that’s not showing up on tests. Keep chelating. I don’t have amalgam fillings either. Well, guess what, it wasn’t mercury. It was CBS upregulation and that’s clear to me now on my labs (extremely low homocysteine, very high liver enzymes, etc) and genetics results. Years of chelation were incredibly damaging to me. So just stop it all you people claiming it’s mercury, you’re doing real damage to some people for insisting on that. Thanks for the great feedback Daniele! Sorry you had to suffer like this, but your story will help others! I agree, DA. I was going to post something similar. I had my amalgams out 20+ yrs ago by a guy who used the right protocols and it shows low in hair analysis. I was told the same thing: that means it’s high but not being excreted. But I have upregulated CBS too with low homocysteine and intolerance to lots of sulfur supplements and foods (L. cysteine, MSM, ALA, NAC, methylated Bs, dairy, eggs, etc.). I also tend to have high B6 and B12 in my blood. Even when I’m not taking any at all for months at a time. I think some of us have both. I had mouth full of mercury removed 26 years ago and chelated with DMSA for several months 6 years ago. 24hr urine tests showed that I lowered the very high levels of aluminum,lead ,arsenic, and a few other metals but no Hg was coming out. Tried oral DMPS and Hg finally started to come out but for last 6 years have not been able to tolerate these [sulfur] chelators. Chlorella kills me too. As soon as I am strong enough I will be trying EDTA suppositories as I don’t trust or can afford IVs. My 23and me raw data has 12 out of 35 CBS genes that are homozygous and my urine ammonia is often four times normal. I have been seeing a microscopist for 16 months because I got Lyme & Babesia,Flukes,Ascarids ,Candida, Mucor Racemosis and Aspergillus just to keep it fun you know. I don’t know if it was all the pathogens pooping in me and then die off that triggered all the ammonia or if it was the genes or both. Since mutations have to be triggered to “express” and up until I took Cipro,Levaquin & Factive I was an equestrian triathlete who was fit as a marine,ate anything & slept like a log I believe this DNA altering chemo drug masquerading as an antibiotic was the stimulus. Spent 15 years trying to heal my gut but since this drug alters DNA [bacterial and mamillian–no warnings either] at the point of replication ; good luck growing your gut back. I do know that low sulfur diet has been essential and my totally ammonia burned ear,nose,throat,lungs only get relief from charcoal pills and Gaviscon Advanced [only the kind from UK w/o aluminum] available on Amazon. I have parasites & tick crap under control with intense herbal treatments & Rifing but I fear unless I can get the Hg out I will never get the fungus under control. Has any one here had any luck with Yasko’s RNA CBS tinctures? Know what is in them? For $85 an ounce I want to know if they help first. Hello, looking at the low sulfur list, a lot of them are high histamine foods that I know bother me. I understand that I should heal the cbs first, but I wonder if there is another food list that won’t also agitate my histamine issues? You would just have to use the low-sulfur foods that are also low histamine in your particular case. How is the sulfur content of a food measured? Where do people get their sources? For example, let’s look at Cucumber and Parsley. Both are listed as low in thiols. Your article mentions them as low in sulfur. Yet, if I google “cucumber sulfur content” or “parsley sulfur content”, I will see many articles mention both as high in sulfur. This is common for other foods as well. So, who is right? Where is the source of the testing? Cucumber and parsley bother me a lot so there is something in them that I cannot tolerate. Could it be sulfur??? Yes that is very possible Alice! I’m still curious though. Are you collecting the low sulfur recommendations from other websites, or do you have a data source? The latter would be incredibly helpful in being exact on this diet. I’ve already made mistakes thinking foods were low sulfur when indeed they were not, because the information on the internet is inconsistent. Thank you! I agree with you, Chris, and wish he had answered your question. An answer like “Yes that is very possible Alice” is quite vague and not helpful at all. Isn’t Dr. Jockers supposed to be the expert here? My doctor sent me to this webpage and I clicked on their link for nutrition. Not jiving with the information here. So, I’m skeptical at this point and don’t know where to get good info. If my doctor has another source, I’ll pass it on to you. I have listed those above I case they impact the CBS gene. We drink tap water using a carbon filter and I am nervous about that. My son has had sensory issues (I am told caused by suboccupital compression but he is not responding to osteopathic treatment as quickly as expected), tics, mild hypotonia and learning difficulties as well as coordination problems (but not dyspraxia). He has spina bifida occulta. A lot of your article seems very relevant to him. He also gets extremely tired even after a large breakfast and I have suspected for a long while that he is not getting the nutrition from the foods he is consuming. Recent tests showed low homocysteine, high blood viscosity, low vitamin D (33), low sylemium and zinc, and very high (100 percentile) calcium, magnesium, copper and arsenic. His vitamin B12 was very high at 1550 although he was taking a very low dose vitamin B12 (methylated) supplements for two weeks prior to the test. We have only recently received the genetic data and have stopped the supplements. At one point his urine was tested as he had begun peeing very frequently, and we found high levels of Uric acid but doctors could not find a reason for this except for a slipped vertebrae and all issues resolved since it was moved back into position. I realise that is a lot to digest, however any advice as to where to start would be very much appreciated. I believe I need to be informed as much as possible as I will need to work closely with my doctor to help my son. A high b12 can be due to gut issues. Find the right probiotic that also supports ammonia reduction, but always check with your doctor. So, I’m reading above that coconut may aggravate CBS issues. Could that be why I feel like my throat is closing, fatigue and brain fog when taking Monolaurin? I thought perhaps I was just herxing? Coconut is also HIGH in Salicylate. Fyi. I cannot eat dried OR fresh coconut meat or coconut oil and I itch like crazy if i use coconut oil as a skin moisturizer. I clicked on the link that is in this sentence that is in the above article: ” You can find the whole sulfur intolerance nutrition plan here”. The “here” link sends me to a nutrition plan that doesn’t completely jive with what’s been written here and what my doctor has said. I’m especially concerned about the meats. It also has quite a few typos which doesn’t really increase my comfort level in following it. BTW, my doctor recommended this page. Please let me know if the info at the link is accurate. The truth is in the farting. This article and discussion of it compels me to share. My 23andme results 2 years ago pointed me to dealing with all methyl and sulfur issues and even a catecholamine issue. Young adulthood I was vegetarian then vegan and NOT pain free but thinner and happier. Middle age, got very overweight, switched to low carb high pro and got much much more overweight, and chronic sometimes status migraine. My genetic results explained exactly why. I am in the best health ever now in late fifties, but my restricted diet really scares me…it works, but is it too limited and doomed to fail? Disciplined, I used the elimination diet to ID all triggers. Amazing when I get to baseline no reactions for months and then carefully test ONE suspected trigger. Bingo. Sometimes it is merely quantity, so it becomes a daily dance with bullets. I don’t need science to tell me what foods cause me sulfur overload. The consequent flatulence stench reveals all. Yah, it could be the food AND/OR the bad gut bugs. I no longer believe in absolute bads except for GMO, and lab synthesized chemical farming. I am starting to suspect tractors! My baseline is organic sweet or russet potatoes, carrots, berries, sour citrus (no orange), one or a half serving of canned fish, no more than two ounces of grass fed red meat per week, lots and lots of turmeric, celery, melon family, squash family. LETTUCE. Gotta watch the oxalate, solanine, salicylate, tannins. Will my family with similar 23andme results and afflictions pay any mind? No because they want to eat and drink what they want. Genetics makes them too starved to stop? Let’s face it…we aren’t as smart as we are fast. The only truth I live by is slow down and get outdoors more. And do not forget the magnesium chloride rubbed into hands and feet and underarms. It is cold and rainy today so I am drawn online today. But I should get OUTSIDE with the right clothes. Thanks. It’s me again over six months later reading my manic post above. I think I’ve detoxed a lot of copper since then but I can still smell it in my arm pits. I still keep a strict food diary and monitor mainly for migraine. Sulfur foods are my worst trigger and I can’t handle dense animal protein. But I think I am falling apart from a sulfur deficiency. Or protein. My muscles and connective tissues are breaking down. I have ALL the methylation pathway polymorphisms, the CBS upregulation, and the COMT that makes me catecholamine compromised. The only oil/fat I seem to tolerate enough is olive oil. I had to cut way back on solanine…even peeling the white potatoes is not enough solanine reduction. It seems my genetics are causing me severe nutritional deficiencies and I am on a downhill path for health no matter what I do. Can you tell me what would be a good resource to point my doctor to for backing up this statement: “Other supplements to avoid will be L-methionine, L-cysteine, L-taurine, glucosamine, L-glycine, DMSO, SAMe, methylcobalamine, methyl-folate, Betaine, HCL and choline.”? 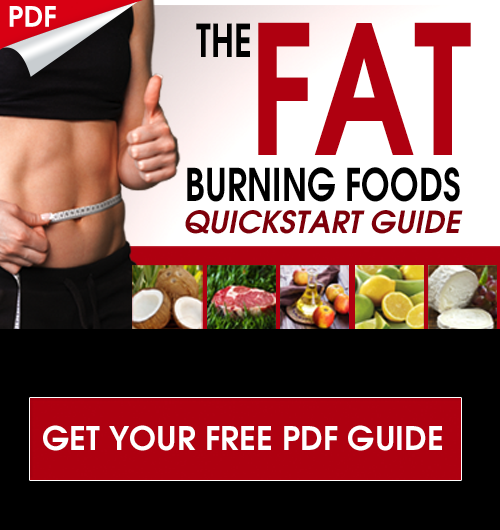 I have CBS mutations and seem to have no issues with sulfur-containing FOODS, or with choline-containing lipids, but every one of the other supplements from that list that I’ve ever been put on have given me bad reactions. One the doctor just put me on has SAMe, methylfolate, and methylcobalamin and it’s clearly not a good fit, but I’d love to be able to better understand WHY, and give the doctor more concrete information, too. Thank you for all your shared knowledge and thorough articles. It was the reason I got genetic testing (thank you). My ND and I are at a standstill, however. 1. We agree CBS should be addressed before MTHFR, etc. but in Liver Phase I my CYP1A1 and CY1B1 and COMT are mutated causing estrogen dominance and thereby is recommended I take DIM and cruciferous vegetables. 2. I have numerous neurotransmitter mutations that are causing; high glutamate and low GABA and repetitive suggestions to supplement with SAMe, lithium orotate and NAC. 2. Been Paleo for 3+ years with a stint of AIP Paleo, GAPs and SCD, and now keto. And though I felt the best on keto, after a few weeks the sulphur was catching up and I felt horribly sick. I tried again with little or 1 meal with sulphur and was doing better but feel great deficiencies, muscle cramping and headaches. My CETP AA (rs5882) suggests a low fat diet due to cholesterol ester transfer protein affected and PON1 CT (rs662) causing high glutamine low arginine, possible tendency to lipid peroxidation. Is CBS still to be addressed first? If so, does it “go away” if it’s apart of your genetics or do you simply start on another issue (estrogen/neurotransmitters) once symptoms subside? Do you still recommend keto (without coconut milk in my case & sulphur) during ammonia detox despite my cardiovascular mutations to convert the lipids? Dr. Ben Lynch, Susan Costen Owens (Low Oxalate researcher) and many others completely disagree with Amy Yasko in regards to sulfur, and especially sulfate, being toxic. She misread the CBS gene info and has perpetuated this ‘no-sulfur’ fiasco for years. Hopefully you’ll take a moment to contact at least Lynch and get the correct information out there. We NEED sulfur — including taurine, etc — despite Yasko’s claims to the contrary. I agree that most people need more sulfur, however some individuals may need to consume much lower amounts due to genetic mutations such as the CBS mutation. Lynch used to believe that as well, but he’s completely changed his mind. If one is bodybuilding, training extensively, with CBS C699T and heterozygous MTHFR C677T and A1298C, would you recommend increasing the protein proportion in the diet or would your recommendation remain the same? Hey Maggie, I would not make any recommendations based off of genes alone. 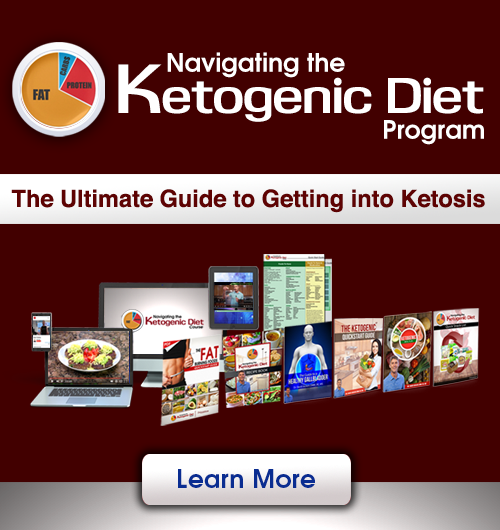 I would recommend monitoring how your body responds to different macronutrient ratios. You will likely need more protein when bodybuilding but try altering your carbs and fat until you find a spot that you feel best. I generally recommend higher fat and low glycemic carbs consumed around training sessions. I’m hetero for CBSa360a, does that mean I also should avoid epsom salt baths? I would try it out and see how you feel Sarah, if you notice any adverse signs then definitely avoid it. You could also try this instead of epsom salt http://amzn.to/2vPkNhZ. It is a naturally mined magnesium chloride salt that is very beneficial. How would you recommend a CBS person detox from environmental toxins without glutathione then? Or should they just add L-glutamine during? Dr Jockers, thank you for the excellent article, I’m finding it so useful. One of my main triggers is wine, due to added and naturally occurring sulfur, yet it is listed on the low in thiols page. The fermentation process produces sulfur and sulfur is almost always added in wine. Am I missing something? thank you. My testing shows heterozygous for the p.K36E (c.106A>G) variant of unknown significance in the CBS gene. Located in coding exon 1 of the CBS gene. Does this have anything to do with sulfur? Thank you so much for this easy to read article with great first steps in aiding my ammonia detox. I have been running in circles after many health issues and a recent 23andme test. This will have to be my first step(s) in healing before others are addressed. Thanks again for such a great, information packed article and easy to follow guidance. May the healing commence! That’s awesome news Amanda! You’ve got this! I gotta add two more things that have helped me greatly get stronger and better…B-complex and beef liver. Added these a few months ago and THIS too is really what my body needed! B VITAMINS! Beef liver is a B-Bomb! 3 lbs…plus liverwurst sandwiches…have raised my temp from 97.1 to 98.6 in just 2 months! I’ve got my metabolism and immune system back! Liver is also a great source of zinc and Vit A, and synergistically, with ALL the B vits (over 50), it’s my little miracle. I think of it as my battery charger and my balancer and my fortifier…physically and mentally. Dr. Jockers, do you recommend organ meats? If not, you should look into them. They are the best medicine around! Just asked the Danish, who eat it regularly, and are extremely happy and healthy. Thanks again! Dr. Jockers, I see you are a proponent of organ meats. You ARE a great doctor! It wouldn’t hurt to mention liver in all your articles cause B vitamin deficiencies are at the root of all illness today. Are you familiar with Dr. Derrick Lonsdale and Benfothiamine (you probably are)? If not, check him out. He’s got some good books…for healthcare professionals. Yes for sure. Thanks Maureen!! Which CBS mutations are the ones re sulfur? It may also be worth noting that sweat is high in ammonia. For that reason I swim as my source of cardiovascular exercise. Do to the nutrients that a CBS mutation is constantly depleting, swimming is also going to be better for joint mobility in the long term. My overall health functions better in cold climates and cold exposure. It appears that vitamin D is integral to the sulfur cycle (and also depletes folate), so it may be best in moderation or the levels that your genetic ancestors were exposed to. I eat oysters daily to boost superoxide dismutase because of their high heme levels of zinc, copper and iron. I also start the day with a small amount of beans to make sure that my molybdenum levels are always there. Hello, Dr. Jockers. Why Betaine HCL is not good for sulfur intolerance? If I have low stomach acid, how I can replace them? Those with CBS mutation need to limit taking supplements that serve as methyl group donors.Betaine HCL acts as a methyl donor.You can try drinking 2-4 oz of apple cider vinegar in a glass of water about 15 minutes before meals to support HCL production. Hi, my 22 y.o.child has DS (Down Syndrome aka Trisomy21) as well as an MTHFR gene mutation (heterozygoteus) , has the triplicated CBS gene and accompanying low zinc, high copper, aluminum sensitivity, low homocysteine, methyl donor intolerance, GABA and choline sensitivities, etc. Any input and references gratefully accepted. 1. I have a CBS c.699C>Trs234706 “GG” mutation. Is this a mutation that causes elevated activity or slower activity? How can I tell whether my mutation is likely to be high activity (causing high ammonia) or low activity? 2. My son and I both have other genetic defects relating to methylating “B” vitamins. I see this article says not to take “methylcobalamine and methyl-folate” if one has a CBS defect. Could our supplementing with methylated B vitamins be making things worse relating to our CBS defects? This is an excellent resource, thank you – I live in the UK and we don’t have the same access to integrative, functional practitioners as you guys do over there! I wonder if you could point me in the direction of some good resources for understanding the link between methylation and sulfation? I am homogenous for MTHFR 677 and seem to react badly to methylated supplements (Methyl b12, MTHF etc) and I am hugely sensitive to sulfur… all this seems to make sense from reading your work, and I would like to know more about how methylation and sulfur / sulfation interact. Hi Rachel, go and find the Quantum health group on FB, and check out some of Jack Kruse’s stuff. Both these resources helped me massively – and it sounds like you need the help! My son was diagnosed with reactive arthritis as his knees and ankles were very swollen. He’s been on a low Sulphur diet for about 4months now and reintroducing it very slowly in small amounts. it has brought some inflammation down and now I am wondering if it really is arthritis or what everybody here is talking about. His rheumatologist wants him on prednisone but I am very hesitant. I need to know if there is something he can do to reduce the swelling as prolonged inflammation could cause damage to the joints and he’s only 19. It’s probably one of the best articles that I found on the web about sulfur and ammonia! I guess always I’ve high levels of ammonia, but probably my long term high protein diet was not a good idea and worse my symptoms. Now I’m eating about RDA protein recommendations 0.8 gr/Kg and supplementing with Arginine, Ornithine and Molybdenium and feel so much better. In a pair of months I will check again my ammonia levels, I expect was so low. Any additional recommendation?